The first walk of the Waveney & Blyth Arts 2017 summer season took place on 9 July around Redisham, near Beccles. 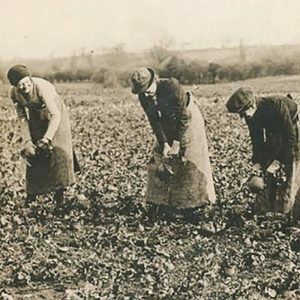 Inspired by a found pamphlet of poems by girls in the Land Army, walk organiser Netta Swallow devised an afternoon to celebrate the role of the Land Army and to hear some of these poems. Coinciding with the open gardens at Redisham Hall, the walk followed field paths from the Hall to the tiny church of St Peters, Suffolk’s smallest. The walk was led by Ivan Crane and, on the way, we heard from historian Chris Reeve, who explored themes about the land, including tales of farming during the war, based on the writings of Adrian Bell, and information about the conscientious objectors who were employed to work the land in this part of Suffolk. Once at the Church of St Peters, the audience heard tales of Land Girls and their poetry, the Bloomsbury Set and Adrian Bell and how there were links between them. Oonagh Segrave-Daly read a very moving poem, “Let there be light” by Francis Heneage Burkitt, who was inspired to write the poem after reading an article about the plight of children in occupied Europe during WW2. Oonagh also read “Hedge Cutting” by Land Girl Alice Coates, a thoughtful poem about her concern for the environment. 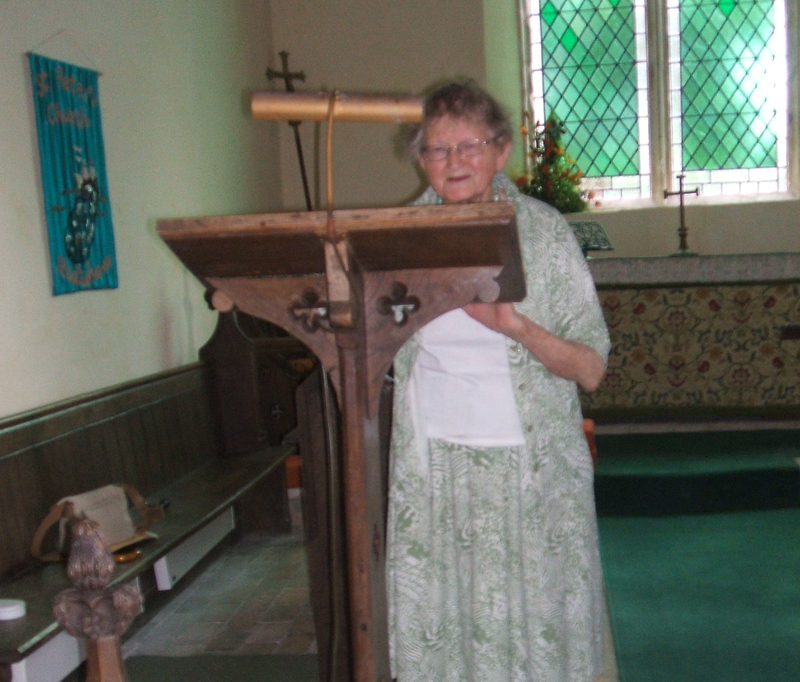 The highlight of the afternoon was a reading from Angela Ottaway (pitctured) who is now 92 years old but was first based in the Land Army at a farm on Romney Marsh. It was not a good experience as she was employed by a woman who ran the farm and was a bully. Abusive towards Angela, she one night locked her out, leaving Angela to sleep in the barn. Angela became ill working there and eventually managed to secure a transfer to horticulture which she enjoyed very much. She is still a keen gardener today and involves herself in a handbell ringing group, the local museum team of volunteers and the local church. Her mother was in the Timber Corps in WW1. Angela read the poem “War, which has brought to others fear” by Hebe Jerrold, Women’s Timber Corps. Then back for tea at the beautiful grounds of Redisham Hall. Many thanks to Netta, Ivan and Chris for organising and informing us, to Oonagh for reading and, of course, to Angela for joining us to share the poetry reading and her memories of the Land Army.